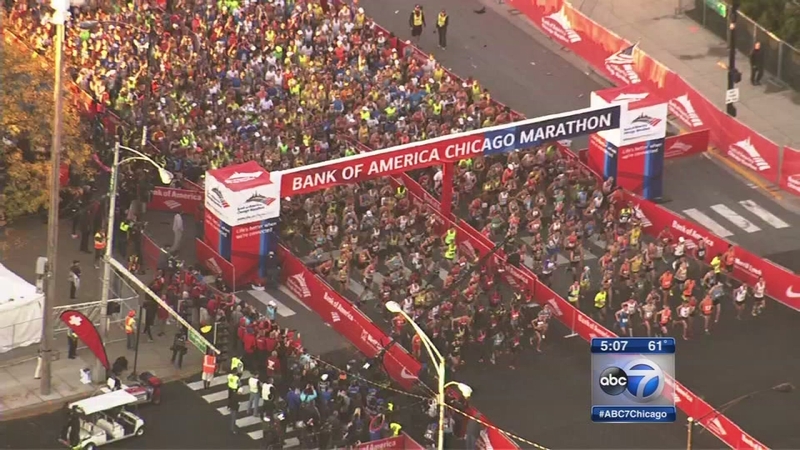 CHICAGO (WLS) -- Last year's Chicago Marathon was a record-breaker for Chicago's economy, according to a new study. The study, conducted by the University of Illinois, shows the 2014 Chicago Marathon brought in a record $254 million in tourism revenue. That breaks down to more than $500 a day spent by visitors for the marathon. Last year's race also raised a record $17.1 million for charity. More than 40,000 runners competed in last year's race. This year's Chicago Marathon is Oct. 11.